Tommy is the best basketball player when playing his video games. He wins every time! matters worse the neighborhood kids laugh at his attempts. He decides to give up and only play video games, until his mother challenges him to keep practicing. Before long, he finds himself improving and on his way to becoming the best basketball player ever! 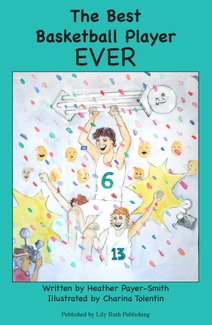 Book Trailer for "The Best Basketball Player EVER"